Over the years power supplies have evolved to become lighter, more powerful, and more efficient. 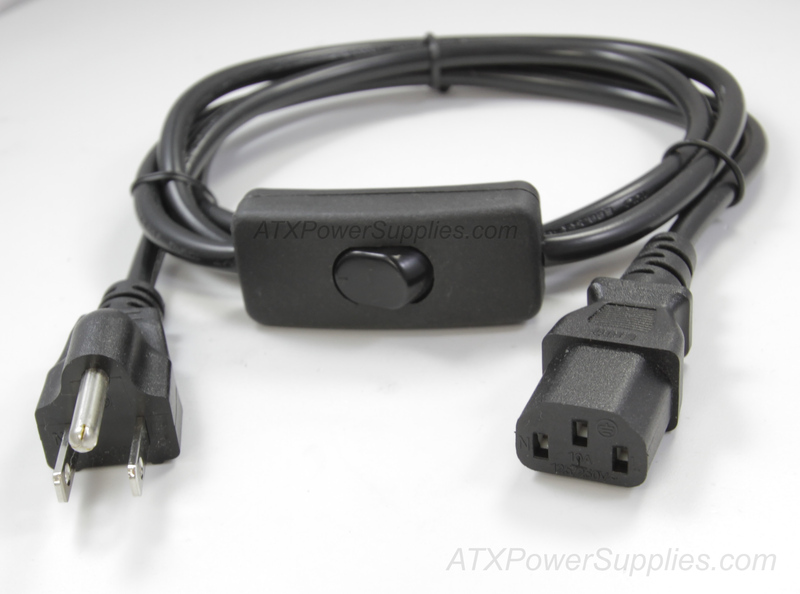 Since computers have ther own power switches the need for a physical power switch on a power supply is not a necessity. Likewise power supply manufacturers for the most part have discontinued making power supplies with power switches on them. What has happened as a result of this is that many non-computer applications who rely on a power switch to turn the power supply on and off were forgotten. This includes arcade game shops, shopping mall kiosks, manufacturing machines, refinery control systems, and the list goes on and on. 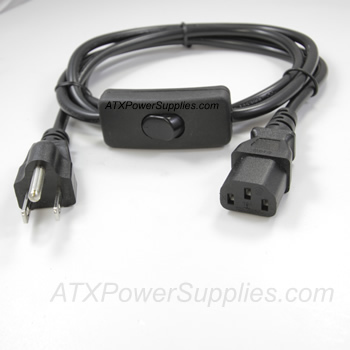 In response to customer feedback we have decided to manufacture a power cord with an inline power switch. This power cord effectively gives back control to you. Once again you have a physical rocker switch to physically turn your power supply on and off. The rocker switch is rated 3A/120V AC AND 2A/250V AC, UL LISTED.